Blame it on the SCBWI (the Society of Children’s Book Writers & Illustrators). When I joined SCBWI over two decades ago, I’d already sold a middle-grade and was interested in writing young adult books, too. Yet most of my writer friends wrote picture books. Whenever I went to SCBWI conferences, I attended many presentations by talented picture book authors and illustrators. I listened to so many picture book talks that I joked I could teach a picture book writing class myself. But write a picture book? 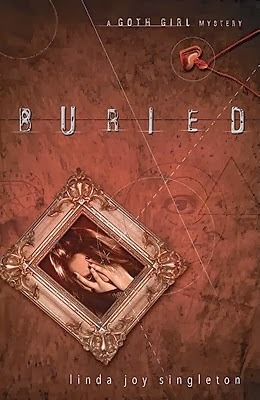 2009 was the year I sold my 37th book, Buried, a YA mystery (Flux)—and the year I wrote a picture book. This picture book idea struck with no warning—like summer rain or falling in love. 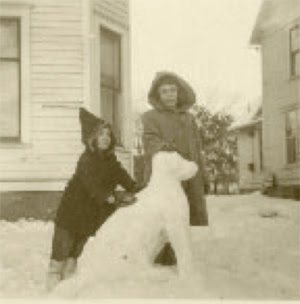 I was driving to a SCBWI retreat with authors Verla Kay, Danna K. Smith and Linda Whalen when my thoughts jumped to the childhood photo Verla had showed me of a snow dog. More than anything, Ally wanted a dog—but dogs made her achoo. 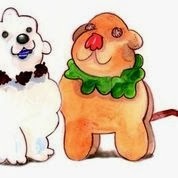 So Ally drew pictures of dogs…. Jump five years and that napkin-scribbled book is now my debut picture book, Snow Dog, Sand Dog, illustrated by Jess Golden (Albert Whitman). And my box of author copies arrived last month (Yay!). But it’s not like I stopped writing middle grade/YA. I still do that, too. How did this age-market hopping happen? Thinking it over, it’s more of a surprise that I resisted writing picture books for so long. Whether I’m writing for big or little kids, I love the rhythm of lyrical, active and funny words. Studying the art of picture book writing has actually strengthened my novel writing. Sentences roll and sway like songs from thoughts to finger-tips. I’m squashed like a human pretzel and struggling not to sneeze at dog hair or freak out as I imagine creepy crawlies creeping and crawling all over me. This is a sentence from a middle-grade book, yet fun words like "sneeze," "creepy" and "crawling" create a rhythm like when I’m writing picture books. They heated popcorn and played fetch with straw brooms. They napped with a scarecrow then danced to the music of wind chimes. I love the craft of word play; molding words like clay until they’re shaped into sentences that make children smile. Writing words for children brings out the child in all of us—and it’s fun. But it’s hard work, too. I consider picture books the hardest format to write. There’s no room for even one sloppy word. Every word counts, and the story arc should rise and fall with character growth like a novel. 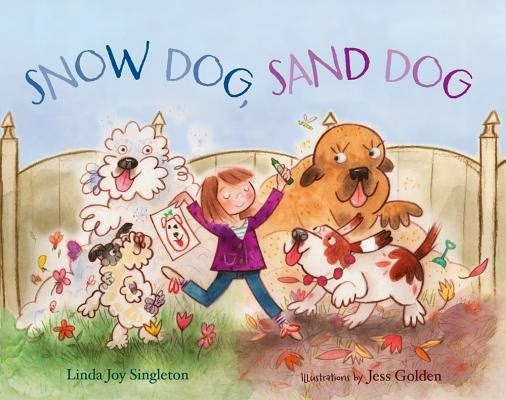 It took five years for Snow Dog, Sand Dog to become a published book. It went through editors, agents, rejections and rewrites. I rode a roller coaster of disappointments and hopes. And this middle grade/YA author is very proud to be a picture book author. Love hearing your inspiration and seeing the snow dog photo. SCBWI is a fantastic organization! 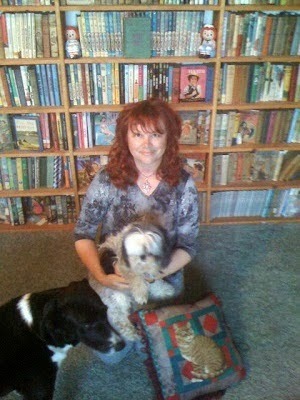 Wonderful to see you here Linda, and find Cynthia's blog. Picture books look SO easy - right? But we know different! I also want to say that Linda's books and series-es for older kids are absolutely awesome. Do read them!! And I have added this article to my HOOK Kids on Reading board on Pinterest. This sounds adorable and my kids love cute dog stories at the moment. Congratulations!